My son came back home last weekend so we made Osaka Okonomiyaki for lunch. Finally I could update the Okonomiyaki recipe with better improved photos that I have posted when I was just started my Japanese food blog over one and half years ago! There are variations in style of Okonomiyaki depending on the region or cities of Japan. I was born and grew up in Kansai region so Okonomiyaki that I make usually is Osaka okonomiyaki or Kansai style okonomiyaki. Okonomiyaki is a very popular dish in Japanese restaurants, food court stores, and has even begun to pop up as street food at some markets. If you’ve been to the Eat Street Markets in Brisbane, you may have seen them selling there. The chefs will also often have the grill visible to customers so we can all see how they’re making it, and although it looks hard and requires skill, it’s actually quite easy and you can make it at home yourself for a much cheaper price. I bought an electric cooking plate in Japan and brought it back to Australia, but you can certainly cook it individually in a frying pan or even you can use a BBQ if your BBQ has a flat cook surface. 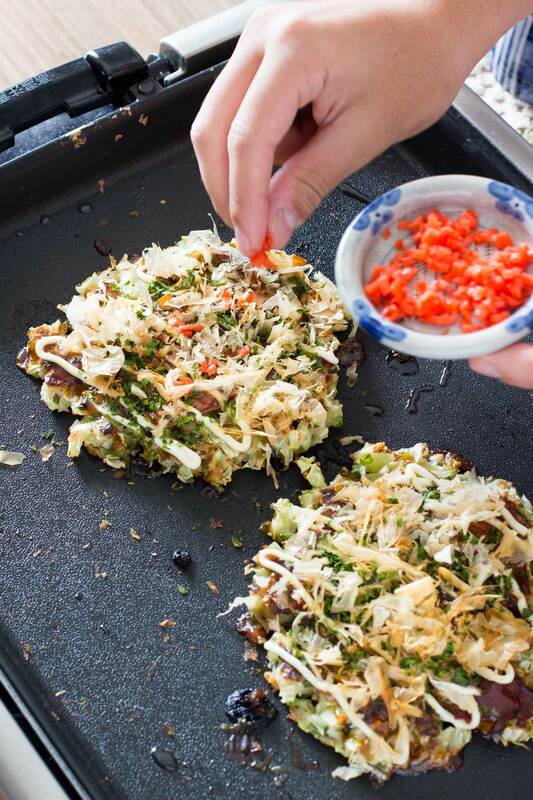 Okonomiyaki is a savoury pancake made primarily from shredded cabbage, flour, eggs, and water. 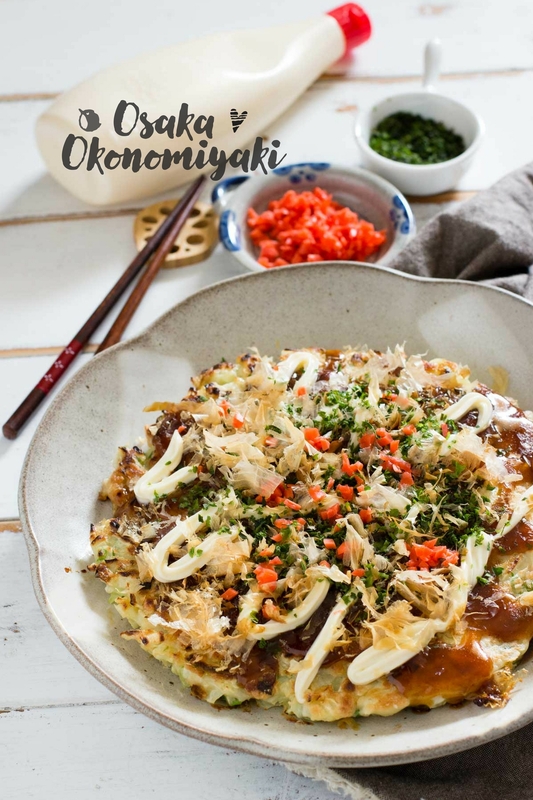 It is a very versatile dish that has many adaptations and various topping options, which is why it get’s the name Okonomiyaki, “okonomi” meaning “what you like” and “yaki” meaning grilled. 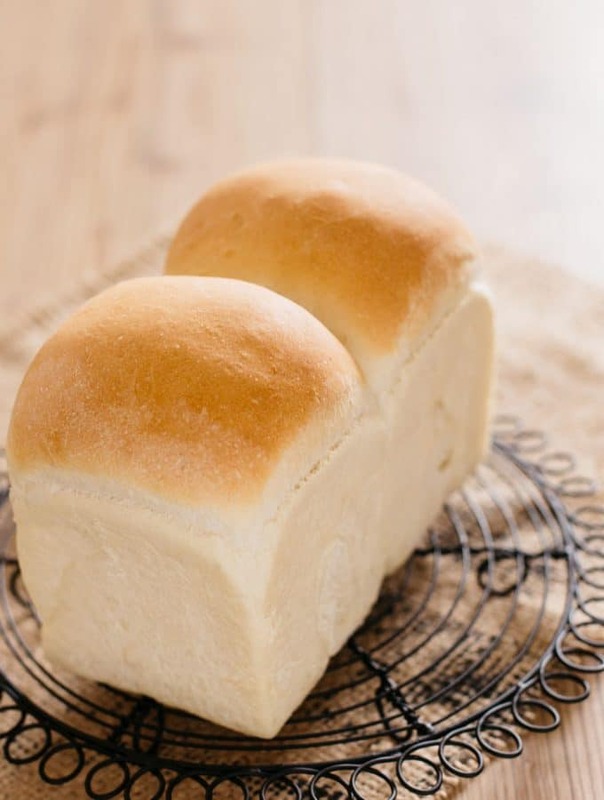 In Japan, the batter and toppings will differ from region to region, but the three main styles are Kansai (Osaka), Hiroshima, and Tokyo. My favourite is the Kansai style because that’s the area I grew up in, it is also the main version of Okonomiyaki and the most common around Japan; and most likely the kind that you see in Japanese restaurants in your city. The most common topping you will find is thin pork-belly strips, but as the name suggests, you can put whatever you like. I prefer bacon and my daughter likes shrimp, so that’s the two toppings we used. But you may like to put octopus, squid, or cheese. 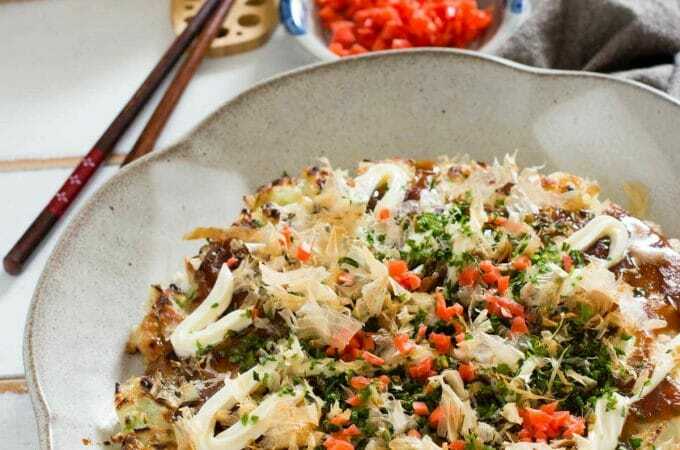 Once you’ve added your topping and cooked the pancake, you can serve it with Okonomiyaki sauce, mayonnaise, bonito flakes, seaweed, and finely chopped red pickles. I usually use store bought Okonomiyaki sauce as they are readily available in Japan like soy sauce. If you can not get any okonomiyaki sauce, I included it in my online shop or you can mix 2tbs tomato sauce, 2tbs worcestershire sauce, 1tsp oyster sauce, and 1tsp honey or maple syrup all together. Toppings add flavour but if you can’t get bonito flakes, you can omit it too. 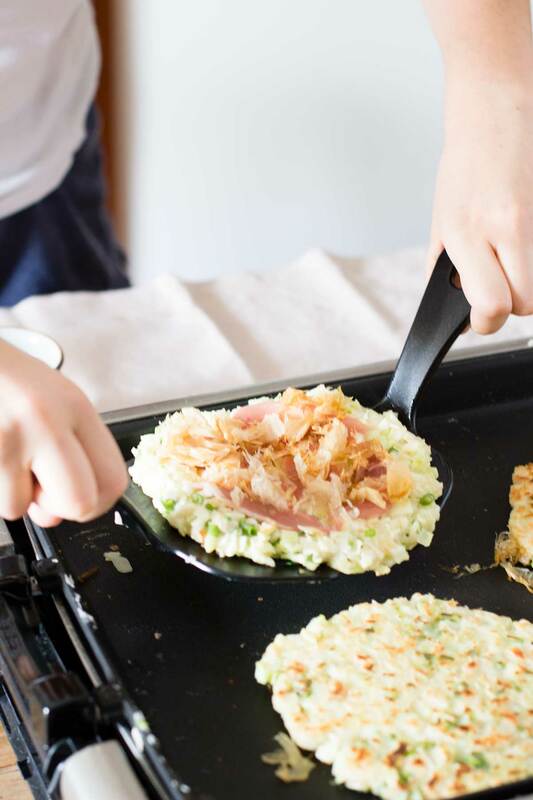 Oh, and if you have wide egg flippers like the above photo, it certainly makes flipping okonomiyaki a lot easier. My daughter above is modelling for me to take photos and she was scared to flip it as she may break it, so she was hesitating to flip it and stayed frozen for while. I bought them from Daiso for just $2.80. 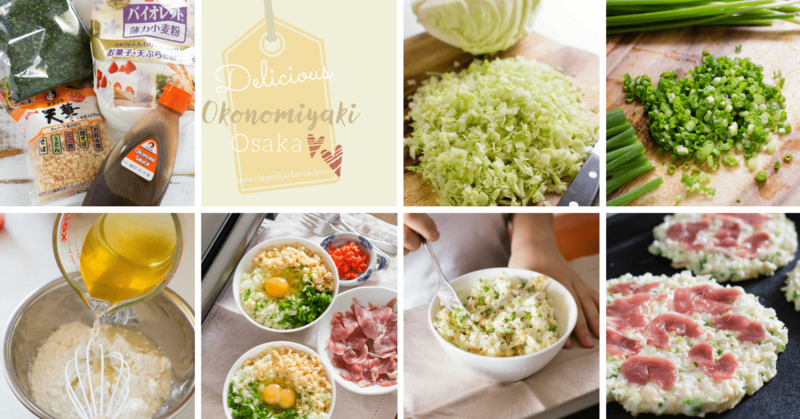 Osaka Okonomiyaki is a great dish to make with your family and friends if you have a hot plate because you can all cook your Osaka Okonomiyaki together at the same time and have fun adding different toppings. Hope you enjoy!! Dissolve the dashi powder into the water to make the dashi stock. 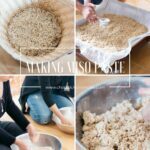 Place the flour in a large bowl and add salt, sugar, and pour the dashi stock in to mix. Set aside. 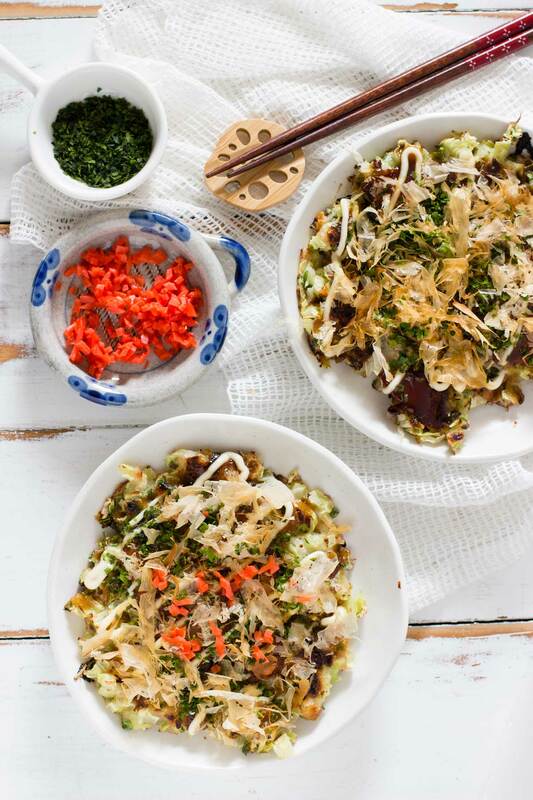 Divide the chopped cabbage, green shallots, and tenkasu into 4 small mixing bowls. Add one egg each and 1/4 of flour and dashi mixture to each bowl. Mix them well together with a fork. Heat cooking plate to 200 degrees and pour the cabbage mixture onto the cooking plate to spread approximately 2cm thickness. Place the thinly sliced pork and bonito flake on top of the cabbage mixture. When the edge of the okonomiyaki has become firm and cooked, flip it over with two egg flippers. Put the lid on and steam grill for a few minutes. Turn the okonomiyaki over one more time to check whether the meat is cooked. Brush the okonomiyaki with Okonomiyaki sauce and garnish with pickled ginger, more bonito and sprinkle aonori to serve. *Tenkasu is tempura by-product crisps. 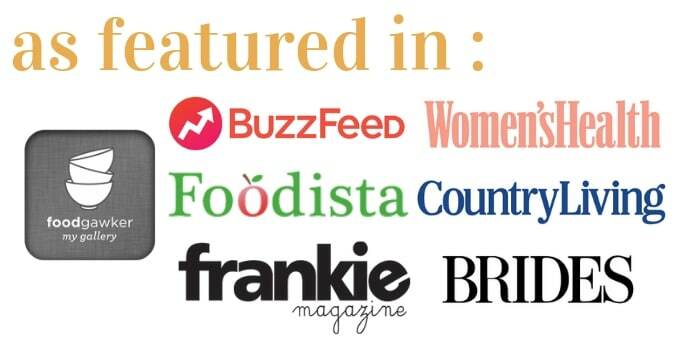 It can be purchased from asian grocery stores but If you can not get it, it can be omitted. *Aonori is also known as green laver. 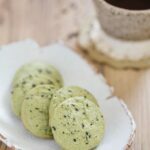 It is edible green seaweed, usually consumed as dried, finely flaked form. Often used for Okonomiyaki, Yakisoba, and takoyaki topping in Japanese cuisine. I LOVE Japanese food, but have never made my own Okonomiyaki before, so I’m super excited about this! 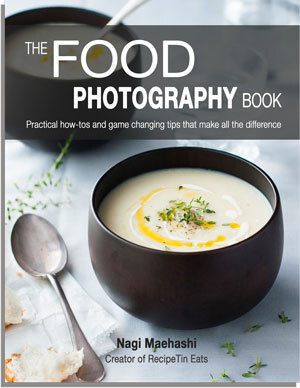 These photos are gorgeous and I totally need to get myself some egg flippers!! I adore savory pancakes and I’m loving the combination of delicious flavors in this recipe! I remember my first Okonomiyaki in Japan and was hooked on the taste. 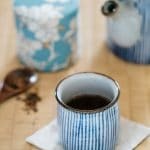 Arigato for sharing your delicious recipe Shihoko. I am going to have to look out for large egg flippers!!!!! These Okonomiyaki look perfect, I love the cabbage in them. 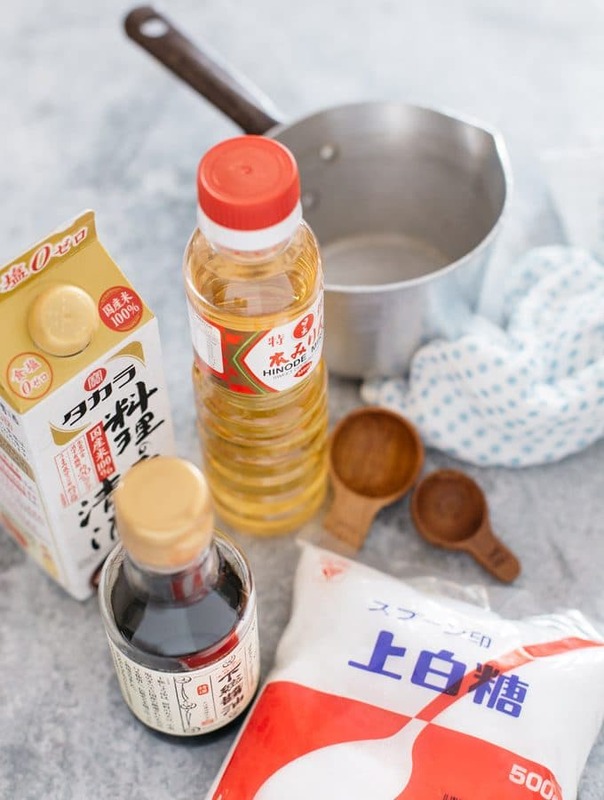 And thank you for the quick alternative to Okonomiyaki sauce, we don’t have a Daiso near us so finding Japanese ingredients can sometimes be hard. I’ve made these twice already, it’s lovely and not too rich and filling 🙂 I used bacon and it was delicious! Hi Jay, I am glad that you liked it. 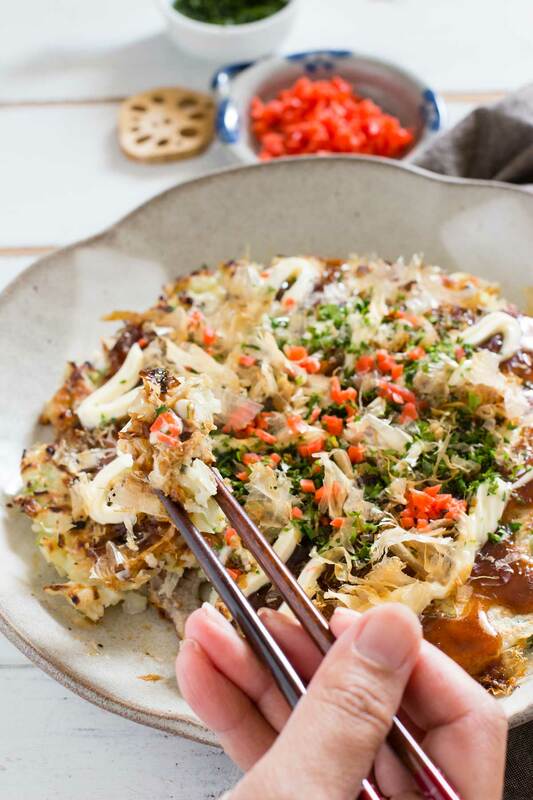 This Okonomiyaki is a keeper isn’t it !? 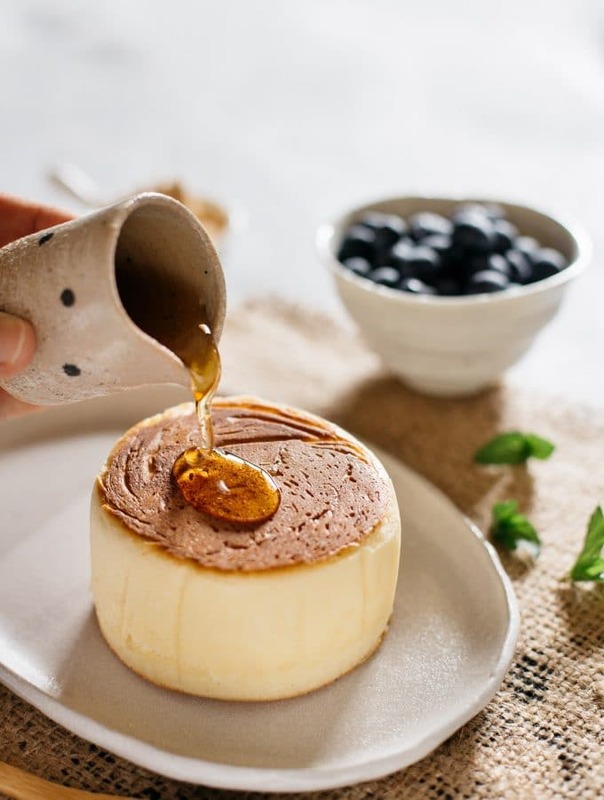 thanks for this beautiful recipe. Recently went to Japan for 5 weeks and loved most of the food there (although Okonomiyaki is one of my favourites even before going there). 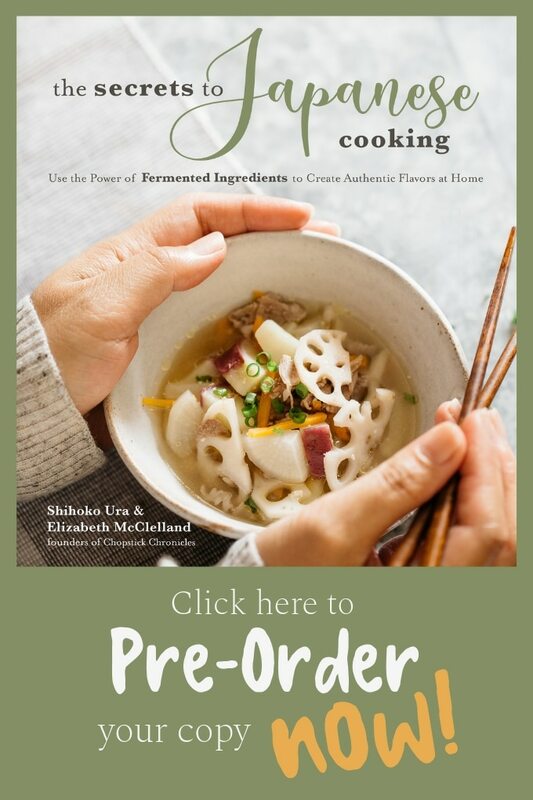 I wanted to try this recipe but I can’t seem to find anyone in the Sydney area that sells Aonori and Tenkasu. 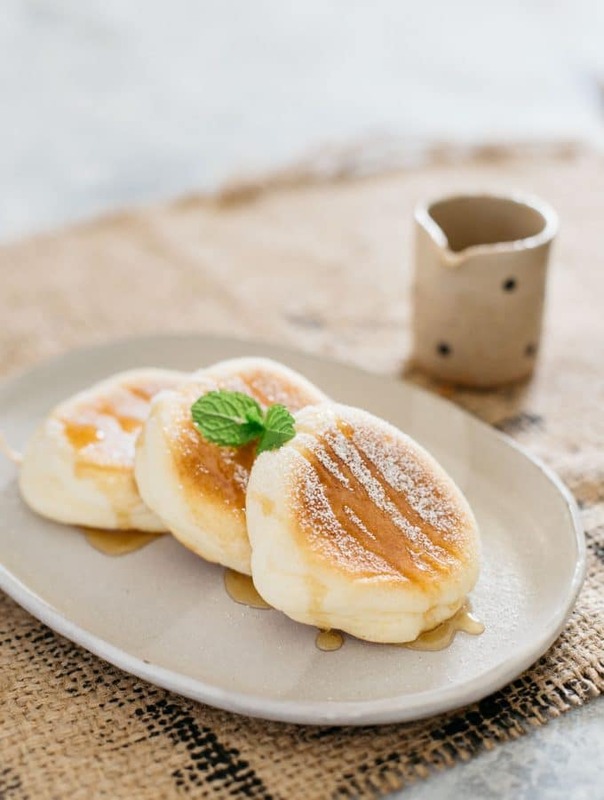 Any idea where to get these from in Australia?